Someone actually tried my workout out and gave me feedback!! So, obviously, I’m excited about that because she gave really great feedback too. Here’s the revised Kung Fu Boot Camp Workout with these modifications in mind. Lay on back with knees bent and push up hips into bridge while kicking leg out and away, then lower down. Alternate kicking legs. Push up into bridge position and stretch arm and hand across to opposite shoulder to touch floor as if throwing someone off you. Alternate arm touches. Keep non-punching arm in guard by head for punches. Extend punching arm across outside of the opposite knee. Alternate to other side. Take a fighting/sparring stance with feet a little more than shoulder width apart front and back, side to side. Knees gently bend. I start with left leg forward. Hands are in guard. Jab L, Cross R, crouch/duck, step L, Roundhouse R. Do this slow x 5 and fast x5. So, for a 30 minute workout, you could do the pretty much do everything before the combo practice and skip that, tiger, and the cardio at the end and go to the last deep breathing minute/visualization. You could probably take out a lot of the joint loosening and mobilizations too, leaving yourself with just neck circles, hip circles, and arm circles. Though if you’ve been feeling really tight, I’d recommend doing those mobilizations at some point. I know it’s weird but the eye stuff and face stretches help a lot if you spend a lot of time behind a computer/looking at screens, or if you don’t blink enough. Trust me, it’s a thing. For 15 minutes you could do the warm-up stretches and the cardio blast at the beginning and call it a day. Maybe reduce the number of bridges to one set of either one of those bridge variations or just bridge itself. My friend had some good feedback that the combos, striking and kicking practice are really good to do into the bag. I absolutely wholeheartedly agree with this and it would be SUCH a good work out. I guess I would just say if you and your partner haven’t worked with pads, that might be something to take a class in. Like perhaps go to a muay thai class. Working into pads would totally increase the intensity of this workout, however, so go slow before you go fast. All right! Well, that’s it for now, so enjoy and let me know how this worked for you! I’ve been my own Guinea pig lately with some of the martial arts based classes I’ve been constructing. So far it’s been going well and I have a rough template for each one I want to present to beginner audiences with broad experience with fitness and perhaps limited exposure to martial arts. The program I tried the other day was for a Kung Fu Boot Camp. The class is designed as a cardio workout that also builds your confidence and spirit. I figured it’d be cool for corporate groups or team building situations where you want a one-off “feel the burn” type of experience. So I definitely had been feeling it during the workout since I’d been mainly doing Ashtanga yoga lately(also badass and hard, but in a different way). I hadn’t been doing as many explosive jumps, kicks, and strikes — which is a whole nother animal. Woo! So hard. I’ve been feeling it during the last 2 days in my hammies and hips especially. Anyway, if you’d like to try it out and let me know what you think, that’d be great! Below are the notes for the 60 minute program, but you could easily modify this to 30 minutes and I will also offer some suggestions for a 15 minute program too. Granted the notes below are incomplete in that at the very least, you would want someone to show you the tiger form, but you could always skip that or add your own form to the end. I would also say while I thought this was hard, there are probably some serious athletes who would have no problems with this. And in that case, that’s cool, you’re probably beyond the scope of what I can provide. Btw, this program below and all my thoughts are just that,guys. You should obviously talk to your doctor and get a good teacher and do all those kinds of things to protect yourself before attempting any of this stuff. You know yourself and your body best. Put on your favorite high energy music or enjoy the pure sounds of silence/nature/traffic, etc. whatever suits your fancy! To modify without a jump, front snap kick R followed by front snap kick left x 10. This whole thing should take 60 minutes depending on how long you repeat the tiger form. I would recommend at least 3 times, slow, medium with combos broken down, and then fast. Notes on the form are available in this book, though if you haven’t seen it in person, it’s not going to do much for you. I suppose the same could be said of the striking and kicking. You really do need a good teacher so that you don’t hurt yourself. 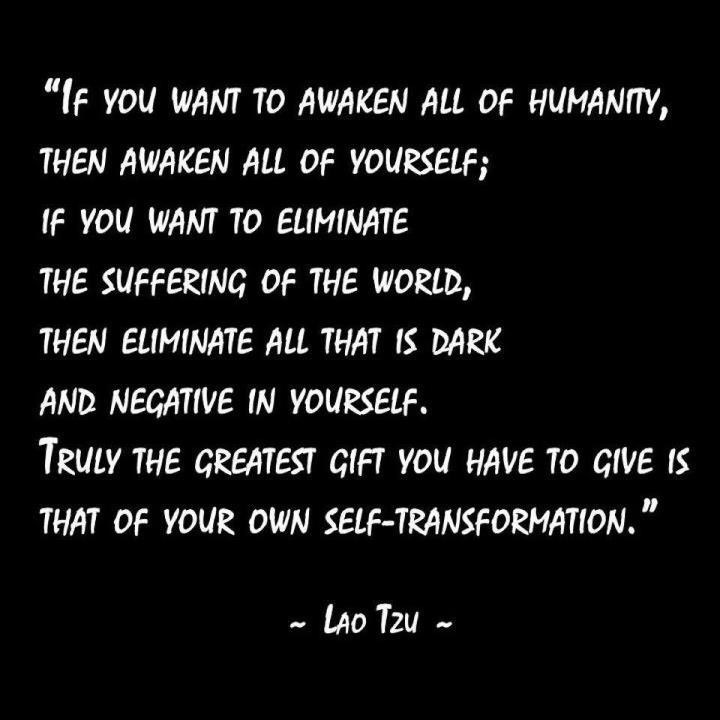 If I wasn’t teaching this to total beginners and was doing this for myself, I personally would supplement this with two tiger xingyi fists presented here after finishing this whole program. Not that it matters when you practice internal, but if you were in the mood you could add a 10 minute internal practice that’s sorta tiger related, listed below. I would just keep in mind that while it may look simple it’s actually really advanced and you won’t get internal results if you approach the internal practice below with the same mindset or training goals as the boot camp above. Totally different things. But here’s an idea of something using drills from my teacher’s books. This would take about 10 minutes and help you to feel and cultivate internal energy (if you do it the way my teacher lays it out). I really agree with him that you really need to separate in your mind how you approach these two very different practices. Each can teach you something useful, but it’s super different. In fact maybe you don’t want to practice internal forms after doing something so physically inclined like the beginner tiger form referenced above. But I will say that SOMETIMES, for me personally, because you are so physically tired after doing an intense physical workout when you can fully switch over to “internal mode”, so not using a lot of physical force or tension and relaxing fully and consciously, I sometimes get a more pronounced internal experience. I’m not sure if this would work for everyone, but a couple students at the old kung fu school did get results that way too. More on that in a future post perhaps. I’d better stop now before I accidentally mislead people! Anyway, for now, just enjoy the workout program. Probably past students will be able to get the most use out of it. Let me know what you think if you try it and if it is too hard, let me know so I can make modifications. So using my martial arts background, I’ve come up with 4 classes I can teach to absolute beginners in a corporate/one-off “let’s just have fun, do something new and healthy” kind of setting. I tested out 2 of the 4 classes on myself this week —breathing/meditation/qi gong and stretching/yoga— and feel confident about my ability to teach them. I also modified my usual beginning tai chi class and today may try out a “kung fu boot camp” type class on myself, which basically just modifies what we did at 108 Heroes Kung Fu and Tai Chi to a more one-off setting. I’m really digging all this, gotta say. It’s so much fun to think creatively about my various practices and use what I know to make some adjustments so they resonate with specific audiences. I’ve previously felt very dogmatic about martial arts practices and have viewed them as something where I need to not only uphold the forms but also the curriculum of learning and the teaching methods. Now, I’ve figured out a way that I can present that I feel remains true to the lineage, but also gives me room to play and have fun. I don’t alter the postures or, in certain forms, the sequences of movement, but I have been working with packaging the material into an easy to understand class. There’s certain things I love and enjoy about my personal practice and the practice I’m led through when at a class that I’ve discovered I can’t do when teaching super beginners. I think it’s because the concepts are actually quite complex and if, as a student, you come in with a preconceived notion of what yoga is or kung fu or tai chi or meditation, then in some settings, it’s going to be a steep learning curve for you to get onboard with traditional methods of instruction and thought. I thought, what if I could present the traditional teachings I know and love, but to people who have a very broad, highly socialized understanding of these concepts so that by the end of the class perhaps they’d be more open to exploring in depth these fascinating practices. Can I be a doorway? Maybe a gateway drug, if you will… ha! Anyway, it’s pretty fun but as always a challenging balance of being true and respectful of my own teachings while also realizing that I may be able to lighten up on some aspects of the practice as long as I’m retaining what for me is the core. I never would have been in this more exploratory mindset had my own teachers not encouraged this type of approach. I myself was actually surprised that all my teachers had encouraged me to play, explore, and experiment in my personal practice since our bodies, minds, and lives are constantly changing. Having this freedom has allowed me to not be hard on myself (one of my greatest challenges!) when not being able to do a full practice due to injury or time constraints. I’ve been able to retain and grow my experiences within these practices while being adaptable and not rigidly holding onto the exact same sequence or approach or goal. That being said, the structure of the practices helps me to retain my focus and track my progress on longtime goals. Or if not static goals, just see over time how I’m changing for the better as a result of practicing. Anyway, creating my own little programs has given me a lot of insight lately and I look forward to seeing what others think too. Fingers crossed that they get something good out of it! Here’s a little something I wrote for my friends over at 108Heroes Tai Chi and Kung Fu (complete with hand-crafted GIFs). This pretty much sums up my views on most push hands sessions. And here I am, back on this crazy thing and ready to give an update on all that’s happened. The biggest thing was that for the past two years, I’ve been off at Carnegie Mellon University pursuing my MFA in Dramatic Writing under Rob Handel’s direction. The amount of writing we were doing in this program made life for the past two years fairly intense, so it was hard to keep The Dynamics of Groove up to date. That’s not to say I was an internet hermit. I still contributed to the blogs with San Francisco Theater Pub and 108Heroes. Wrote and helped to produce “It’s All in the Mix”, a coming-of-age love story about DJs with All Terrain Theater at Vamp Records in Oakland, CA. 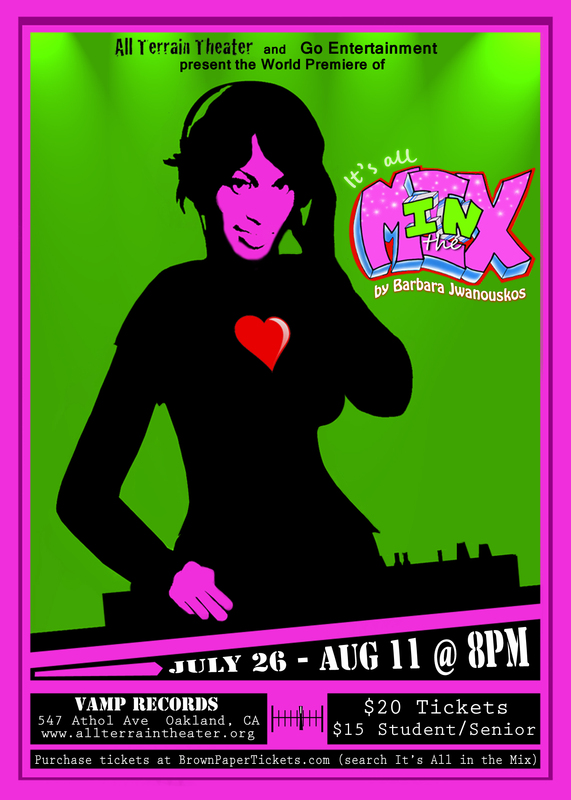 Directed by Brady Brophy Hilton, Stage Managed by Robert Neopolitan, Sound help by The Selector DJ Kirk and Kris Barrera, featuring Champagne Hughes and Courtney Nickolson as JUNE, Kris Barrera and Tommy Nyugen as BIZ, and Johnny Manibusan as PAT. Special Thanks to Tracy Held Potter, Sean Sullivan, and more. Moved to Pittsburgh and found an amazing apartment in Squirrel Hill. 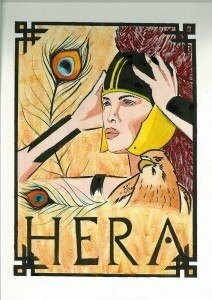 Wrote a one-act comedy, “Hera, The Pregnant Man Play” for the San Francisco Olympians Festival, which was voted an Audience Favorite the night it was read! A filmed version of the staged reading is available here. Produced by San Francisco Olympians Festival (Special Thanks to Stuart Bousel), directed by Amy Claire Tasker, Claire Slattery as HERA, Nick Trengrove as TERRY, Ben Grubb as CHAD, Eric Hannan as RYAN, Arie Lavine as ALICIA, and Brian Martin as ZEUS. Got a mention in the Huffington Post by George Haymont for “Hera, The Pregnant Man Play”. 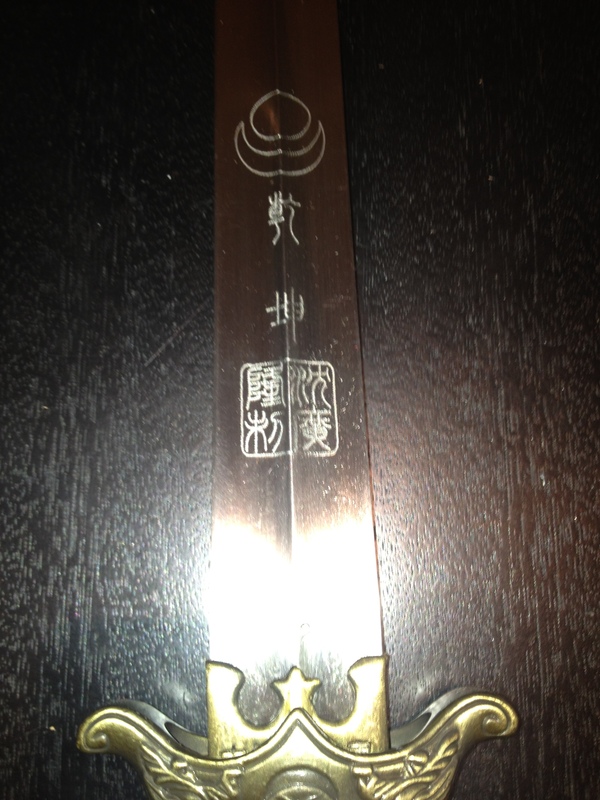 Tested and received my black belt in Shaolin kung fu. Wrote a ten minute multimedia comedy, “Donut Erotica”, which was selected for publication by 31 Plays in 31 Days. You can listen to a podcast recording of an older version here. Produced by 31 Plays in 31 Days (Special Thanks to Rachel Bublitz and Tracy Held Potter), directed by Claire Rice, featuring Colleen Egan as LINDSAY, Peter Townley as KEV, Michelle Talgarow as the CASHIER LADY, and stage directions by Caitlin Evenson. 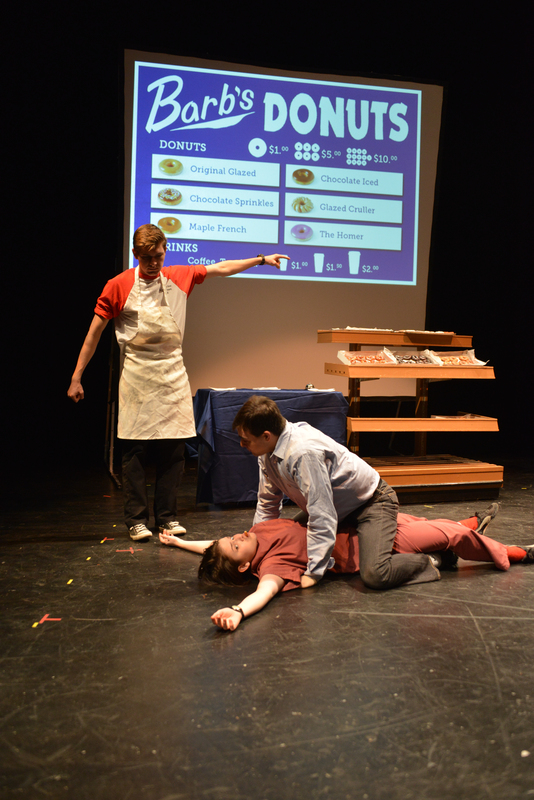 “Donut Erotica” was then selected to be performed in CMU’s Playground Festival in the spring of 2013 and I had the chance to work with some amazing collaborators. Directed by Alex Franz, Video Design by Jordan Harrison, Sound Design by Ian Julian Williams, Set Design by Dan Daly, LINDSAY – Olivia Brown, KEV – Scott Coffey, SHOP OWNER – Petr Favazza. And special thanks to Laci Corridor, Jonah Eisenstock, Britain Valenti. Made all the donuts (including vegan and gluten-free ones!) for the Playground production. Wrote an introduction and provided copyediting to the forth-coming collection of plays from the second annual San Francisco Olympians Festival, “Heavenly Bodies”. Started writing a bi-weekly series for San Francisco Theater Pub called “Higher Education” about what it’s like as a theater artist going through a graduate program and the lessons learned while there. Helped shoot and edit video for the 108Heroes re-launch promo. Check it out! Taught “Introduction to Screenwriting” at the university level in the fall of 2013. Wrote two ten minute plays for the San Francisco Olympians Festival, “Ajax Minor” directed by James Nelson, featuring Richard Wenzel, Caitlin Evenson, Carl Lucania, Jan Marsh, Karlie Blair, and Eli Diamond. And “Neoptolemus”, directed by Charles Lewis III, featuring Eli Diamond, Ben Grubb, Richard Wenzel and Carl Lucania. Worked with Disney Imagineering Research and Development as a writer by contributing 40 short scenes to their emotional speech database project. Was identified as a semi-finalist for the DISQUIET Literary International Short Play contest for my ten minute comedy, “Naughty Cheetah”. Was identified as a semi-finalist for the Bay Area Playwrights Festival for “i stole lance armstrong’s bike”. Taught “Advanced Playwriting” in the spring of 2014. Wrote and collaborated to help produce “The Imaginary Opponent” as my thesis play production at Carnegie Mellon University. 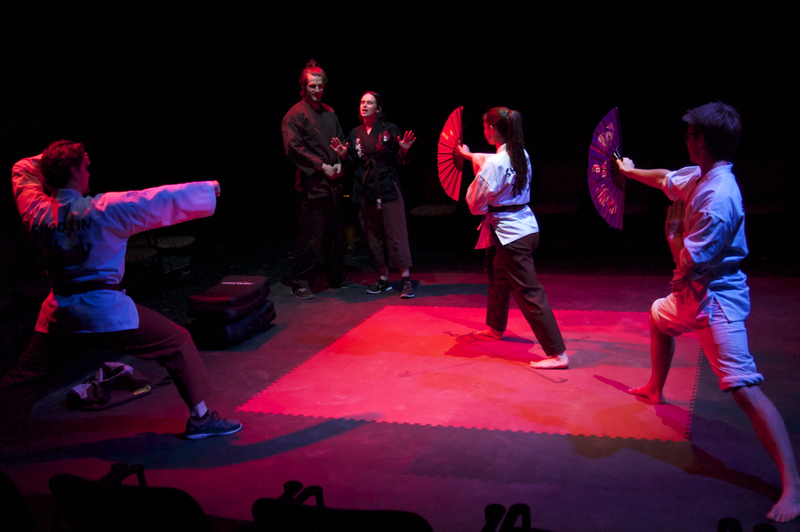 Directed by Quin Gordon, Production Assistance by Dan Giles, Set Design by Britton Mauk, Lighting Design by Daniel Bergher, featuring Cathryn Dylan as ERIKA, Austin James Murray as MAC, David Patterson as SIFU ADAM, Sawyer Pierce as GABE, and Annie Yokom as MASTER LYNN. Submitted “The Imaginary Opponent” and “Day Drinkers” as my thesis for the CMU library. Graduated from Carnegie Mellon University with an MFA in Dramatic Writing. Met with theater, screenwriting, TV and other entertainment professionals at the LA and NY Showcases for the class of 2014. Wrote “Time to Wine”, a short comedic libretto for the Baria Project with Roger Zahab and the Opera Theatre of Pittsburgh to be performed in July 2014. Collaborated with Stephen Webb to write the libretto to “For the Time Being”, a short opera love story about a being from another dimension, composed by Daniel Arnaldos and to be performed in February 2015. Returned back to the Bay Area! It’s been a long journey, but I’m ready to take this all to the next level! I haven’t been the best about updating my blog lately, but if you’ve read the last couple of posts, you’d know that there’s so much going on! I just haven’t made the time to focus on writing, but since I’m leaving behind a lot of folks in the Bay Area, one of the things I’m trying to make a commitment to is updating this a little more regularly. I’m not promising much, but, hey, you gotta start somewhere, right? August for me is all about new beginnings. I’ve accepted the 31 Days, 31 Plays Challenge. I’m continuing the Artist’s Way practice of morning pages, and even trying to incorporate the Artist’s Dates more regularly. And even though I’ve written about it before and felt like I totally bombed, I’m trying to commit to at least five minutes a day of practicing kung fu and tai chi. These three activities are intensely important to me, not just because I love doing them, but because they ground me and keep me moving forward. As I shift my life pretty dramatically in August 2012, it’s important for me to start it out right. That means building these three things into my everyday. That being said, you gotta have goals. Certainly the top priority for me is just to be consistent and diligent about incorporating these three activities into my life, but without milestones, an assessment of what you do well and what you’d like to improve upon, it’s hard to really move forward realistically. The morning pages, because they are already a part of my daily lexicon, were not hard to start out with. The kung fu practice and writing a play were a lot harder. So, I decided to do a little writing brainstorming about it. 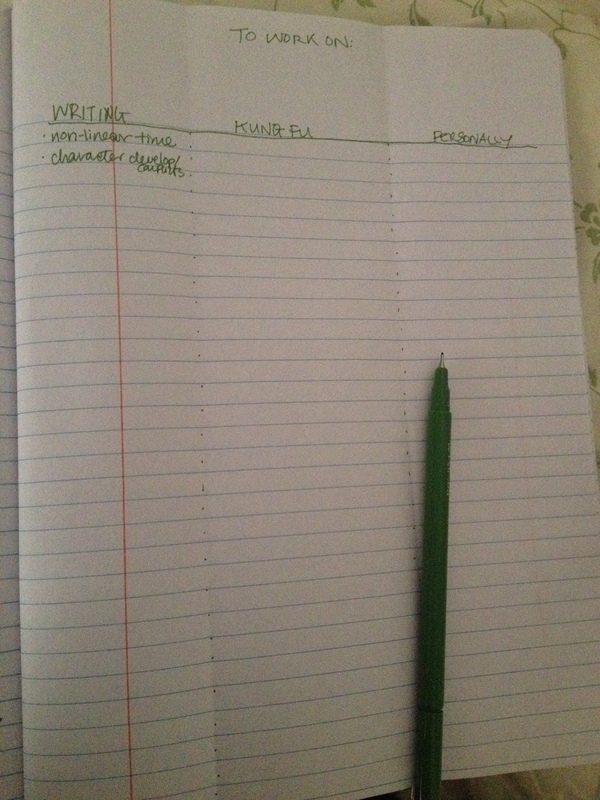 I took a page of my journal and divided it into three’s. One was titled “writing”, the next, “kung fu” and a third, I added called, “personal”. I added the “personal” column because I realized that there were some larger ideas and concepts that I wanted to get better at in all of my life. In kung fu, we talk about reaching the next belt level and there are certain focus points that you should have attached to your training, whether that be balance and focus or clarity and confidence. 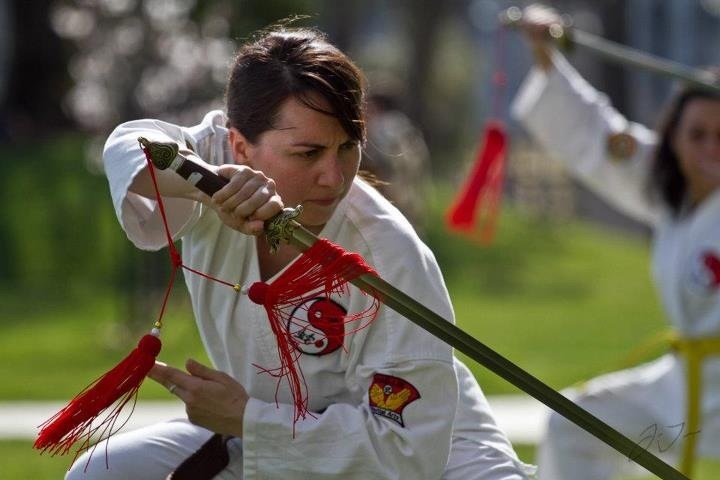 For adults practicing the art, achieving another belt level is not as simple as passing a test, or this tangible thing that marks your progress into a more advanced level, but it can weave into something in your personal life that you are trying to work on. For me, adding a “personal” column was a way to focus on the areas of my life where I would like to see growth. Instead of just wishful thinking, however, like “I wish I was more fit” or “I wish I didn’t get angry so easily” or “I wish I knew how to hold the nunchaku without constantly hitting myself in the head.” All these can be fuel for goals and are achievable when a bit of action is put behind it. In this list-making exercise, I decided to free-write as fast as I could to get at the aspects of each of these areas of my life that I wanted to improve upon. After everything was written down, I noticed that in each column, and overall, there were certain ideas, activities and concepts that were a theme. These were the ones that I highlighted as I read back the list. Additionally, in each column, there was at least one goal that I had written that I gravitated towards, but was not necessarily a part of any pattern or reoccurring theme. I made note of those too. If you don’t know where to start, sometimes a self-assessment is the best place to begin. My approach to goal-setting came from my work at the Food Bank where as the Grants Manager, metrics, goal-setting, and deliverables were part of my daily projects. In a lot of nonprofit work, there’s an idea of creating deliverables that are SMART (duh…), but in this case, SMART stands for “Specific, Measurable, Attainable, Realistic, and Timely”. Even though I didn’t put my goals in this specific format, I thought it was a good way to think of what I wanted to carry out in the next month and not just set out to do something because it will be “good for me”. Well, something is only good for you if you understand what it is improving upon and if in practice, it is actually effective in moving you forward. Once I had looked over the list and identified themes as well as what jumped out at me, I decided to make a couple of focus points/goals out of the results. Because I want these to be achievable over the next month, I picked only three in each group, with one “fun” goal that I added in as a marker for a personal best. Consistency of writing practice (both in the morning pages and playwriting) and greater stamina in my practice. I would say I’m defining consistency as being able to write three morning pages every day and one play a day (that is at least one page and has a beginning, middle, and end by 31 Days, 31 Plays standards). I’m defining greater stamina in the morning pages by not stopping the morning pages until finished (not getting distracted by other thoughts or actions) and in playwriting I’m defining stamina as working towards an ending. So, whether it’s a one page play or a 15 page play, working towards an ending and going back to the play to finish it after taking a break. Incorporating wonder into my plays and writing about interesting topics. Admittedly, this one is a bit amorphous, but I figure part of this goal requires that I get out of my comfort zone with topics and perhaps take up one of Julia Cameron‘s Artist Way activities, “The Artist Date,” to fill my imagination bucket with images and experiences. I also find that Naomi Iizuka‘s list-making tool around objects, facts about oneself and the known universe are helpful in germinating a seed of an idea. Practicing heightening conflict and character development in my writing. So, this is something that has frustrated me in the past because it has often taken several drafts and several attempts for me to find the conflict that characters have with one another and in the play. I think focusing in on this aspect, asking myself what the conflict is while writing will help (hopefully). FUN ONE! So, this goal didn’t have anything attached to it, but in meeting my friend, Sean’s daughter, Shaye, the other day, I realized that I would LOVE to write something that young people like her, and kids would be interested in. So, I might try writing a couple plays that I think she (or her generation) would dig. Truly knowing the material that I will need to test to first black over. This one is maybe my top priority in this category because I’ll be leaving soon and will need to take all the material I know and the couple of forms I don’t know yet with me. I want to have the material down to a point where I really feel like I’d be a good black belt. Like I really earned it. And to do that, I need to focus on my newest material and make sure the memory and application of it is there. Lowering my stances and building my endurance. Similarly to my writing practice, I want to be able to do more in my kung fu. I want to build up how much I can actually take. Right now, I know there’s a couple of things I could work on with my posture. For instance, sometimes I feel really wobbly and un-grounded and I could do the stance for a little while, but probably couldn’t hold it solidly for very long. I’d like to get better at that so that it’s not just show, but, yes, I can actually hold a low bow or bird stance or whatever and feel comfortable fighting from that position. Doing the breathing techniques I’ve learned in hou tien chi and hsien tien chi while doing the forms/techniques. I sort of turn this on and off now, and I wish it were a little more instinctual and natural to really feel the breath and energy moving through me the way that the forms are meant to be done traditionally. I don’t want to just go through the motions, but to think and focus on everything I’m doing. Breathing properly requires you to pay a lot more attention to what you’re actually doing. FUN ONE! I really want to try to get it so that I can do the Yang Tai Chi form in one hour. Right now, it takes me about 13 minutes when I’m moving slowly. I could probably go for even longer if I slow down even more. Going slower will also help with the memory, the stances and positioning and thinking about the applications too. Develop my focus and awareness in all areas of my life. I think, like a lot of people, I try to do too many things all at once, and I end up doing a not very great job at any of them. Rather than work that way, I’d like to try to really think about what I’m doing in the moment and be aware of what’s going on around me or within me as well. I feel like if I got better at this, I wouldn’t be so blind-sided by people’s actions sometimes. Getting better at “letting go”. As an example, I’m literally trying to give away, sell or get rid of a lot of the “stuff” in my life that I’ve accumulated over the years as I prepare for this move to Pittsburgh. It’s been hard knowing what I might need and what I might want in the future. I know I have had a tendency to hold on to things for too long. The thing is, that’s emotional energy that’s associated with all that physical stuff too. That’s more energy and time that I could be putting into the activities and people I really do want around me. I’m trying to get rid of as much as I can, especially before I leave the Bay Area, because I’m not sure when I’ll ever have this gift of time again. In the process I’m also trying to be a bit more choosy about what I do welcome into my life and my world. If it’s hard to deal with than I’m not as inclined to keep it. Taking better care of myself more consistently. July was rough. I ended a job I had for over five years and said good-bye to a lot of people who have had a profound impact on my life. I opened a play that I started writing over nine years ago. I did a double-test into a new belt level that is just one test away from black belt and hence discipleship into the art. A lot of huge things. In the midst of all this, I ended up eating crappier food than usual, not getting enough sleep, and not giving myself the quiet time and space to re-charge. I’ve gotten pretty good at taking care of myself, but I drop off the ball sometimes. I’d like to be consistent about taking care of myself when times are hard and stressful, because things will always get harder, while at the same time other things will get easier. I need to be able to truly be present to the people I love and the activities I do, and that starts by taking even better care of myself. FUN ONE! Reading more often. I don’t read nearly as much as I would like to, or probably should considering I’m going back into grad school. If I can read a bit of a book a day, I will feel much more aware of the world and hopefully that will enrich everything else I do too! So, there you have it. My top goals/focal points for the moment. I’m trying to be better at using my blog as a tool by which to assess myself. Hopefully, it will happen! Change is not only possible, it’s inevitable! Protected: Hello 2012! Time for a “best of” list.